Like millions of others worldwide (and an estimated 115,000 in the UK), Irene suffers from Crohn’s disease, an autoimmune disorder that causes inflammation in the gut and has had a dramatic impact on her daily life, especially during periods of flare-ups. Irene has lost trust in her doctors. It’s probably inexperience, she says. She believes that they follow a “by-the-book” mentality, not spending enough time with her to understand the pattern of her disease and how it has affected her since she was diagnosed 10 years ago. She feels that they downplay important side effects – diarrhoea 10 times a day is not normal, she says. And that they don’t share important information with her; like how her medication could have teratogenic effects a few years down the line. But this is only part of the story. Digging deeper, we see interesting behaviours that act as barriers to improving the patient experience. And these are barriers we need to break down to drive change. For instance, could the attitude of Irene’s doctors (or at least what she perceives as their attitude) be down to a firm belief in their professional role, their position of authority? Perhaps, as a result, doctors create a ‘boundary’ between the patient and themselves and their knowledge, which causes what Irene feels is a drip-feeding of information when deemed necessary. Perhaps, again as a result of their belief in their professional identity, they are not open about their own challenges in treating this highly heterogeneous condition. One could even ask, are they confident in their own skills but not those of their patients? At the same time, Irene wants to believe in her doctors’ capabilities but is not receiving anything to reinforce this. So she turns elsewhere for information. She speaks to other doctor friends, other specialists she sees and, notably, fellow sufferers.“All Crohn’s sufferers just visit forums to exchange experiences,” she says, so she isn’t the only one. Which is great, of course; empowering patients is what we want. But there are challenges. Misinformation can easy make its way into such spaces and spread itself; and its hard to displace (the so-called continued influence effect). 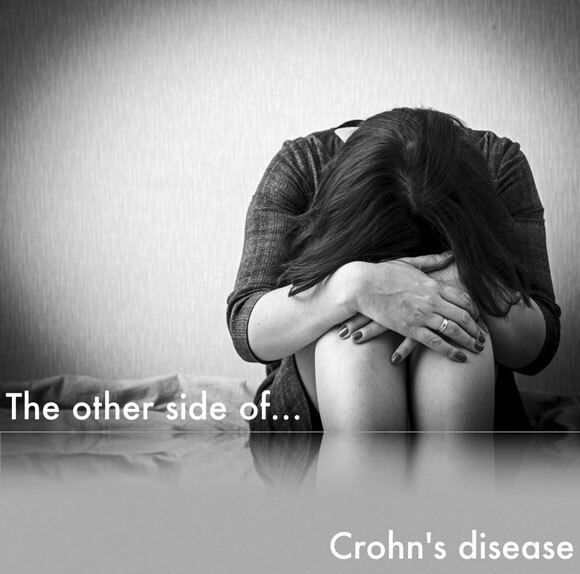 So how do we drive change for Crohn’s patients like Irene? There clearly is quite a bit of work to be done with physicians to break down the professional barrier and get them to engage in dialogue with the patient. But we also need to build further on empowering patients and help them recognise their role in their treatment. Get them to use the information they gain from other sources to be confident and start an open conversation with their doctor. And, given the current landscape, part of this will surely involve equipping them with the tools they need to recognise valuable, and reliable, sources of information.